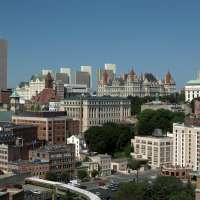 A trip to Albany would not be complete without seeing New York&apos;s grand Capitol Building and the Empire State Plaza, the seat of New York State&apos;s government. The Plaza was the vision of Governor Nelson A. Rockefeller, who wanted to create "the most electrifying capital in the world." 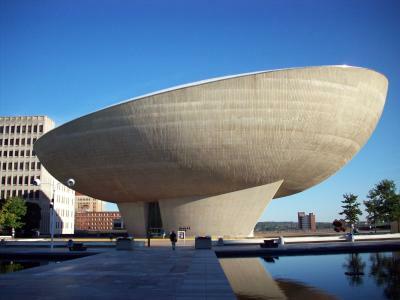 Since its completion in 1978, The Empire State Plaza has become a cultural center for thousands of visitors each year. 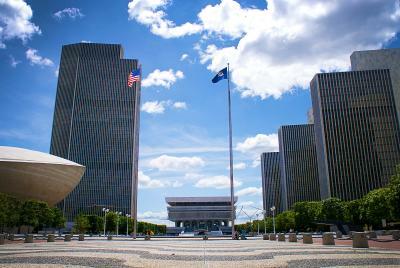 Explore the Empire State Plaza on your next trip to New York&apos;s Capital City! 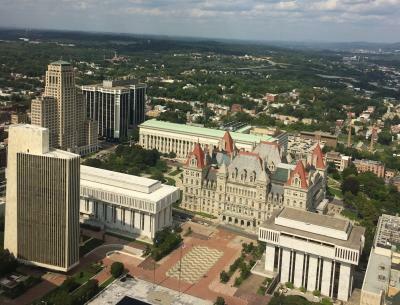 The Empire State Plaza is the seat of government operations for New York State - it occupies 98 acres of land, with 11,000 employees in 10 buildings. The buildings are set around three beautiful reflecting pools, accented by fountains in the summer. 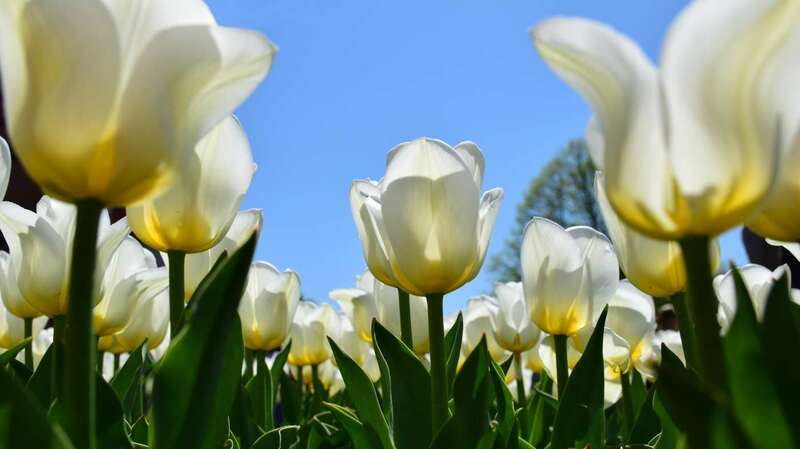 Empire State Plaza events hosts Summer at the Plaza, including an outdoor Farmers Market, movies under the stars and other festivals. 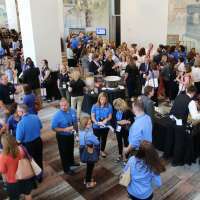 Journey beneath the Plaza to the concourse for a quarter-mile stretch of casual dining, shops and the Empire State Plaza art collection, a world-class abstract art collection. 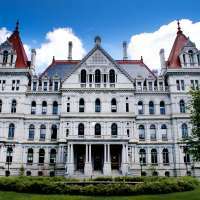 The government buildings are all connected below ground, so follow the underground maze from the Capitol Building, to the Egg Performing Arts Center, to the Corning Tower, to the New York State Museum. 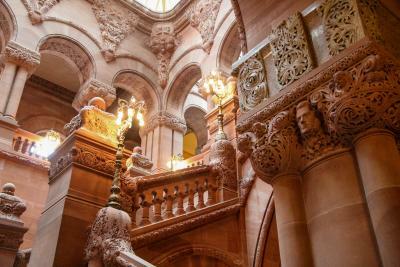 Marvel at the magnificent New York State Capitol Building on your next visit to Albany. Free guided tours are available Monday through Friday at 10:00 AM, 12:00 PM, 2:00 PM and 3:00 PM, and every Saturday at 11:00 AM and 1:00 PM. Tour guests are treated to a complete history of the building – ghost stories, unfinished carvings, famous inhabitants and all! Even if you don&apos;t have time for a tour, wander through the halls on your own and take in the splendor of the Million Dollar Staircase, the Senate Chamber, or the War Room. 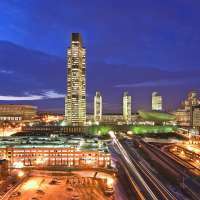 For breathtaking skyline views, head to the Corning Tower Observation Deck. Located on the 42nd floor of the tallest skyscraper in New York State outside of NYC, this is Albany&apos;s most Instagram-worthy spot. You can spy the foothills of the Adirondacks, the Catskills, the Berkshires, the Port of Albany, the Hudson River Valley, and more! The Observation Deck is free and open to the public Monday to Friday, 10:00 AM to 3:45 PM. The Egg Performing Arts Center is not just a crucial part of the Albany skyline, it’s a vital part of the city&apos;s thriving arts and entertainment scene. The Egg’s two curved theaters offer excellent acoustics and a naturally intimate atmosphere, making it a favorite for audiences and performers alike. Even if you don&apos;t have time to catch a show while in town, take a moment to appreciate the building&apos;s unique architecture. 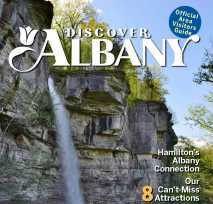 Explore the cultural and natural history of New York State at the New York State Museum. 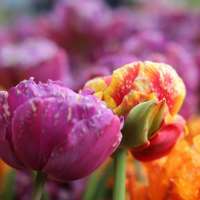 The Museum features a variety of history, science and art exhibitions. 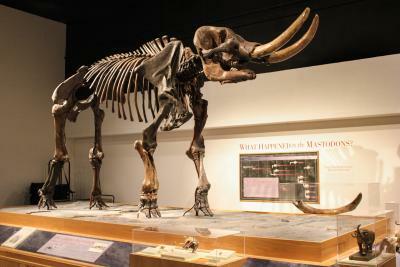 See the Cohoes Mastodon, learn about Native Peoples of New York, or view the glittering minerals of New York. 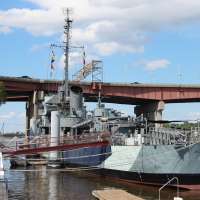 Wander through special exhibits to learn more about the Erie Canal, Women&apos;s Suffrage in New York or World War I. Before you leave, take a jaunt up to the 4th floor and take a spin on the full-size carousel. The museum is free, open Tuesday to Sunday from 9:30 AM - 5:00 PM. Cornerstone at the Plaza offers fine dining by Mazzone Hospitality with an unforgettable view. 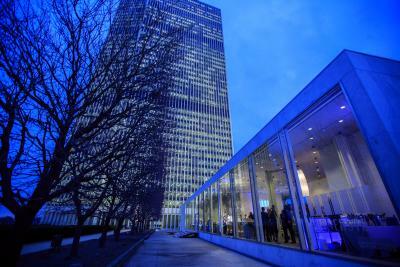 Floor to ceiling glass windows offer a stunning backdrop of the Empire State Plaza to perfectly accent your meal. 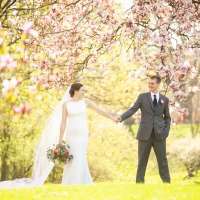 This unique event venue is picture perfect for weddings, corporate events and other special occasions. 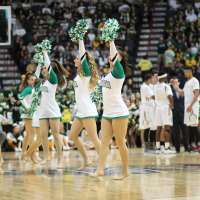 Occasionally, the venue is open to the public including while the legislature is in session. 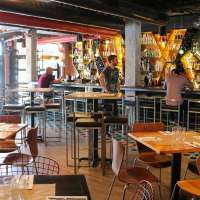 Definitely check the venue&apos;s website to see if the restaurant is open to the public events on the day you are planning to visit! Across the street from the Empire State Plaza is the stunning New York State Education Building. 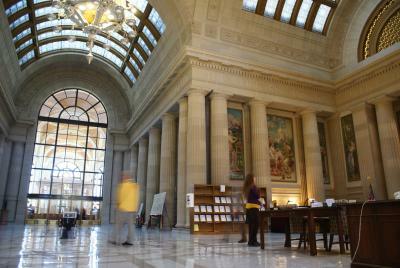 If you are lucky enough to visit on the second Saturday of the month, take a glimpse inside with a free, guided tour! Visitors on the tour will have the opportunity to explore the historic Chancellors Hall, Regents Room and the Rotunda adorned with murals by Albany native Will H. Low.